Cats are prone to sustain wounds from fighting due to their territorial nature. Neosporin is an ointment used by humans to clear slight infections and provide pain relief to the affected area. It is not against the rules to apply Neosporin to a cat’s bruise, but owners should proceed with caution. Excessive bleeding and red coloration coupled with swelling are signs of either deep puncturing or severe infection. Neosporin should not be used in these instances. You should proceed with caution when applying Neosporin since the product is not meant for ingestion and cats often lick themselves for cleaning purposes. There are two types of cat infections: abscess and cellulitis. There are serious consequences that come with denying your cat proper treatment for a bruise. These include septic arthritis, osteomyelitis, and pyothorax. Cat owners should only stick with the regular formula for Neosporin and avoid anything that alludes to pain relief when treating their felines’ ailments. A veterinarian’s services are necessary if the wound is too deep or infected. The central purpose of treatment for a cat wound should be to rid the animal of infection pus. It is important to ask your veterinarian what form of treatment is best for your furry friend after he is injured in a fight. You love your cat with everything that you are, which is why it hurts you to see her in pain. The first thing that you may want to do is put your feline out of her misery after she has been in a fight with another cat for territory. It may not be the best idea to treat that open wound with Neosporin, though. There are certainly benefits to using Neosporin on cat wounds. You reduce the risk of the injury becoming infected when you act fast. It is possible, though, to do more harm than good as Neosporin can become toxicity to cats. You should do a few things before applying Neosporin to your cat’s wound. Read on to find out when the ointments such as Neosporin work for your feline and when they should be avoided. It is not uncommon for cats to sustain injuries that lead to infection. As territorial animals, felines often get into fights when outdoors that lead to scratching, biting, and ultimately wounds. Even indoor cats stand to sustain wounds as they explore themselves and puncture the skin. Just as it is common nature for cats to have wounds during their lifetime, so it is second nature for these injuries to become infected. Cats are known to carry a lot of bacteria in their mouths. Any biting, therefore, leads to such germs passing to the affected area. Some cat owners do not take puncture wounds seriously because they are small in nature. It is important to note, however, that small does not always equal superficial. In fact, the deepness of a typical cat wound is what makes them so dangerous and prone to infection. It is better to take action the moment that you spot a scar by analyzing the injury and determining the best course of action. Some pet owners take their cats to the veterinarian regardless of whether or not the wound is serious. You may decide to try home remedies first if the health of your cat is not at risk. A cat with an infected scar either suffers from an abscess or cellulitis infection. An abscess infection is usually classified by loose skin that covers what would be an open wound. Puss usually begins to form underneath the layer of skin and must be drained to rid the cat of infection. A cellulitis infection is one that forms where the skin is not loose. A cat’s tail or foot is typically where this sort of bacteria festers. What are signs that a cat’s wound has become infected? 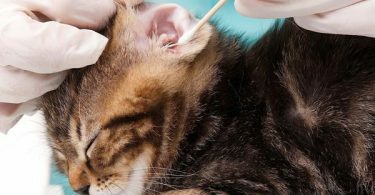 The central sign of your cat being in intense pain possibly caused by an infected wound is the feline crying or growling when you touch the injured area. Your cat may be in so much pain that she refuses to get up and move around. Such lack of motivation should be taken as a sign that the injury may be worse than you thought. 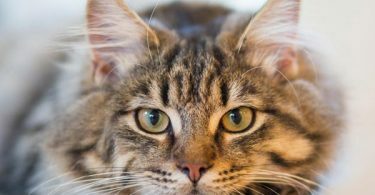 What are the consequences of neglecting your cat’s injuries? It is not common for a simple puncture wound to turn into something monstrous, but anything is possible in the feline world. You do your cat a great injustice to ignore his pain after he has been in the fight of his life and sustained noticeable injuries. Some felines develop septic arthritis, which is an infection of the joints, as the result of neglected care for wounds. Osteomyelitis, infection of the bones, is another condition that can come with an abscess. In some instances, felines can develop a condition known as pyothorax when proper care for wounds is not administered. This build-up of puss threatens the chest cavity and could be life-threatening. The potential threat to your feline’s life may be your reasoning behind using Neosporin first and doing research on the matter later. You should, however, proceed with caution when applying an ointment meant for humans to your cat’s skin. Neosporin – also known as BACITRACIN, NEOMYCIN, and POLYMYXIN – is a topical medicine meant to reduce inflammation and treat bruised skin. The over-the-counter product especially works well to combat infections caused by bacteria. Neosporin is typically the go-to remedy for parents with active children. The ointment also comes in a formula meant to provide pain relief to the ailing patient. Neosporin is, by definition, an ointment. The product works to clear skin infections regardless of whether the patient is a human being or animal. There is, technically, nothing wrong with administering Neosporin to a superficial cat wound to prevent the condition from becoming worse. Some feline owners find ointments such as Neosporin to be the perfect home remedies for minor cat wounds. The formula is especially helpful in cases where your feline is responsible for injuring himself. A little observation beforehand can tell you if Neosporin can help the wounded area or if you need to take more drastic steps for treatment. You can check here the Top Facts You Should Know About Cat Wound Healing Stages. Some wounds that appear superficial actually have deeper roots. Puncture marks, regardless of how small they are, cannot be healed with one application of Neosporin. If anything, you stand to expose your cat to even more toxins by applying a gel formula to an area that is already bleeding out. Likewise, serious abscesses such as those sustained in fights with other outdoor cats are also wounds that require more attention than a simple ointment application. You may end up doing more harm than good by acting hastily and, in the end, exposing your cat to certain ingredients found in regular Neosporin not meant to be ingested or administered to an open wound. Another instance where applying the antibiotic ointment could prove detrimental is when you use the wrong type of Neosporin. The original formula of the topical treatment works best for both pets and humans. Neosporin that offers pain relief is ideal for you but not so much for your cat. You run the risk of poisoning your precious feline by trying to rid his wound of infection while also giving a bit of pain relief. Remember that, although cats can sometimes use the same products as humans, the effects are not always the same. Ingredients that lead to pain relief for you may actually cause your feline more agony. How can you tell of Neosporin can be used for a cat wound? The best way to determine if Neosporin is a viable form of treatment for your cat’s wound is by simply looking at the injury. Instead of getting up in arms over the fact that your feline is hurt, take time to calm down and assess the situation. The average surface wound does not have a lot of blood. Your cat’s small “scratch” may actually be a full-on puncture if the fluid is gushing out from the open spot. Another thing to assess is the level of infection. Surface wounds that are bright red with remnants of swelling have already surpassed the beginning stages of infection. It is unlikely that administering Neosporin to a wound that is already severely infected will do much to help the situation. Of course, you should not apply Neosporin to an open wound. Adding ointment to puss is the equivalent of pouring gas into an already blazing fire. The results of such mixtures will not be pretty. What should you do if Neosporin cannot be used? You should take action if your cat has a wound that requires more than antibiotic ointment. A severely infected surface wound or deep puncture requires veterinary attention. It is essential to note that Neosporin is not meant to treat the steep punctures that cats sometimes sustain during outdoor fights. You need to take your feline to a professional so that he can render proper care to your furry friend. 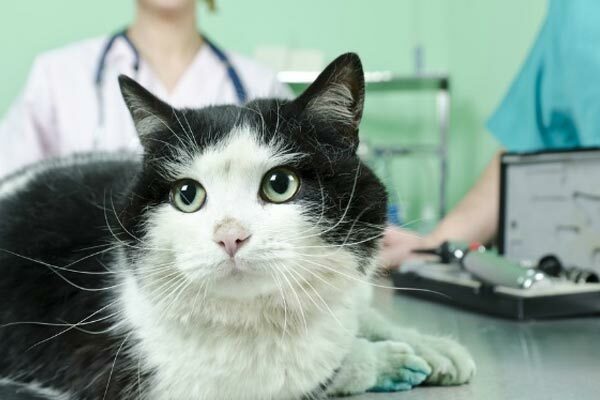 How does a veterinarian treat severe cat wounds? The central purpose of treating cat wounds at the veterinarian’s office is to rid the feline of infection. The doctor will typically begin proceedings with general anesthesia that is meant to calm the animal and numb the injured spot. After applying anesthesia, the veterinarian will typically shave the area to start the disinfection process. Some animal lovers may object to shaving a patch of the animal’s hair. It is important to note, however, that trying to work around fur is a good way to make complicate the problem. The surface of the infected area needs to be clear for the most effective form of treatment to take root. Those cats with abscess infections may need to have their wounds lanced for removal of pus buildup. Veterinarians will ordinarily flush the area after initial draining the toxic fluids from the bruise. Sterile saline is often the best solution for purifying a once-infected space. There are times when an abscessed wound becomes severe to the extent of spreading. It may be necessary for the veterinarian to break down the “pockets” of infections so that all of the pus is drained from the site. Also, some doctors may require your cat to wear an Elizabethan collar so that she does not expose the wound to bacteria again by licking herself. Neosporin is a go-to ointment for parents and adults in general. Over the years, the product has proven itself to be efficient in providing relief from pain as well as reducing the likelihood of infection. Despite your love for Neosporin, it may not always be safe to use on your beloved feline. Cats are known to sustain piercing wounds that often require more than at-home remedies such as ointment application. Still, Neosporin is not an option that is off limits when you want to treat superficial wounds sustained by your feline. Observation is critical when determining if Neosporin is the right form of care to give your furry friend. Areas with substantial bleeding or red coloration coupled with swelling should not be treated with Neosporin. It is never a bad idea to check with your veterinarian before deciding to administer at-home remedies such as Neosporin to cat wounds. You could save yourself much heartache in the near future by simply observing and proceeding with caution. There is nothing generally wrong with applying Neosporin to your cat’s wound. You should be careful, though, to only use the ointment in instances where the injury is minor.